On Thursday afternoon I found myself with a few spare hours so on the spur of the moment, grabbed the Kit and headed out to a new (for me) Conservation Park. It was good to be able to just get out into one of the Parks and play radio for a few hours. 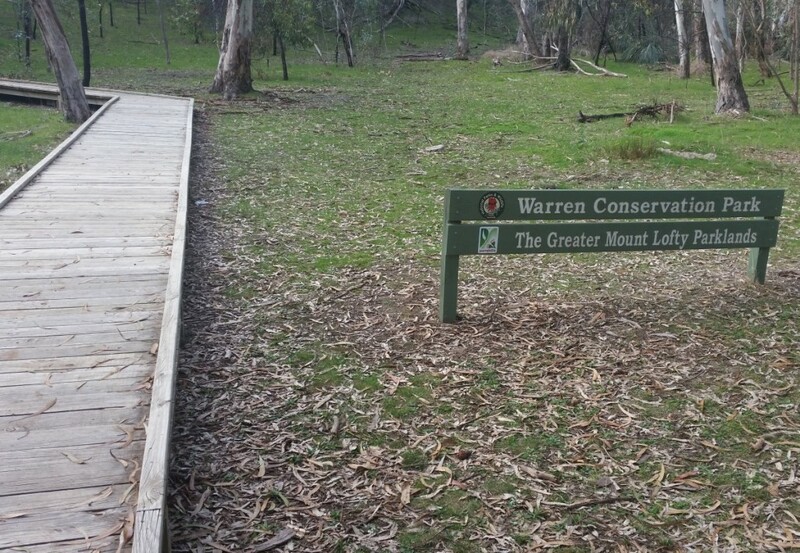 I took a look on the map and decided that a new one was in order – and Warren CP is just a short 35 minute drive. 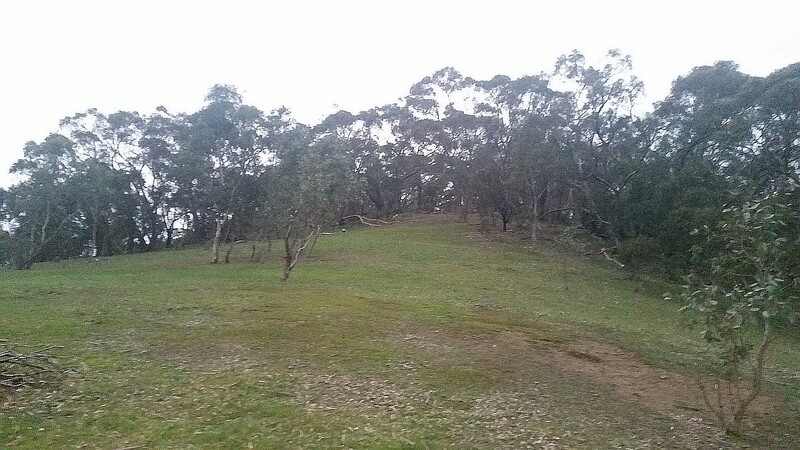 Warren CP is not far from Willamstown, and the entry that we chose is just 4km down a well-maintained dirt road. There is a boardwalk for the first 100m or so of the track, and a good close look at the various Maps – Google maps and a newer resource – SA Maps http://www.location.sa.gov.au/viewer/ – using a combination of various overlays (including topo, and the Conservation boundaries overlay) got me not only to the park, but also assistied in finding a decent operating position once there. I had decided that I was going to have a crack on 20M and of course finish up on 40M. So, I chose to go with just a single 1/4 Wave vertical for 20M and hope it was good enough to get a few contacts logged. I was using a brand new “Sota Post” as a support for my squid pole and was also trying it out in the real-world for the first time. It is a 12mm round SS spike that gets driven into the ground, and a lightened “star picket” with an in-built slide hammer. The ground was surprisingly hard and By standing on it, I could get the post about 200mm into the ground. then, this is where the slide hammer came into play and it was used to drive the post the next 300mm in. 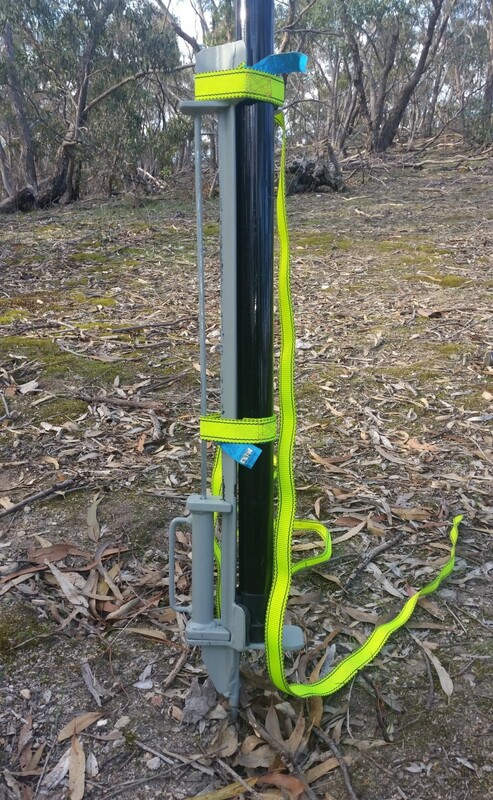 This is a custom made post and proved to be just the ticket – sort of a trade off between being not too heavy to carry with you and not so light that it would not support a squid pole. 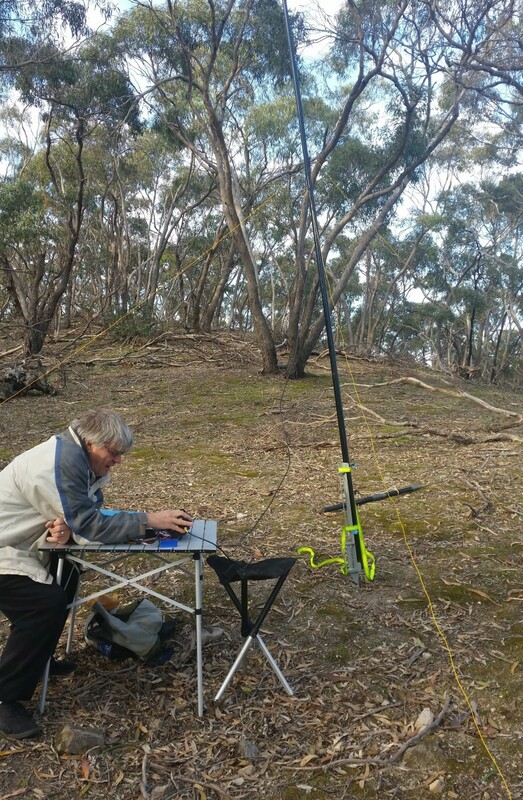 Ray ‘5RR was checking the tuning of the Antenna once we set up. You can see some of the elevated ground radials as well. Managed to get set up and on air just before 06:30UTC – which is about the right time to work a bit of EU DX. It took a few minutes to find a clear frequency and then start calling CQ Parks. The first Reply was from Italy and over the next 45 Minutes or so managed to work 29 Stations in 8 Countries. the Highlight of the day was working F5XL who was portable in FFF-034 – not only my first EU WWFF contact, but while portable as well! Countries worked on 20m were Italy, Australia, Germany, France, Belgium, Azores, Hungary, Ukraine and the UK. What was good was to see not only some of the now familiar EU chaser callsigns in the logs but also to get a few new ones as well. Yes, it does help that I was spotted on ParksnPeaks as well as on the DX cluster. The bands did start to close out as the sun started to dip, so it was a rapid pull down the vertical and put up the 40M dipole to try and work a few. 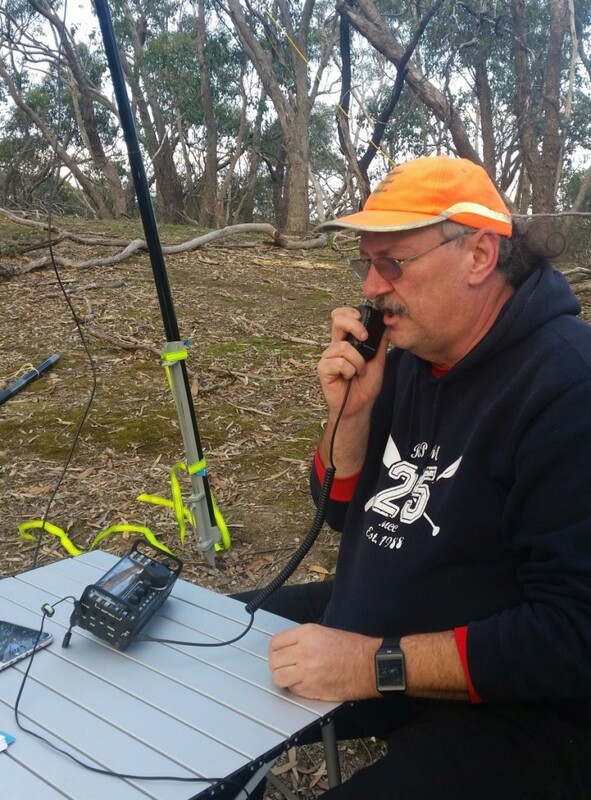 On 40M Worked VK1, VK2, VK3, VK5 and VK6 stations with the highlight of being able to give VK3OF another unique SA park for his list. With the sun almost gone it was a rapid pull-down – and again the slide-hammer on the “Sota Post” was very helpful in actually getting the pole back out of the ground! Yes, it took a few hits in the upwards direction to get it to jump out! We got packed up and back to the car just as it got dark. All in all it was a pretty good activation – especially considering it was a week-day evening with less than 1 hour of notice. It just goes to show how popular the chasing of the parks is – so if you have even a couple of hours on a week day evening, get out there and give it a go – you never know what you might come up with!